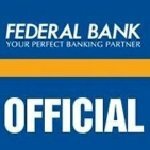 Federal Bank Specalist officer recruitment 2016-17 apply online : Federal Bank welcomes application for the position of specialist officer (IT and Credit). Candidates who completed their MCA, BE, B.Tech., M.Tech., graduate is a good opportunity.The individuals who are the occupation seekers searching for govt employments in India this is the best chance to apply. Competitors read the official notification then read all the guidelines and miners precisely then apply before the last date online application got. All the interested and eligible candidates can apply online before 22nd July 2016. Candidates Age Limit: The age of the candidate is 32 years as on 1st July 2016. Academic qualification details: Eligible applicants applying for the position of Specialist Officer (IT officer scale – I) should have completed MCA / BE / B.Tech / M.Tech / M.Sc. in computer science / IT / electronics and communication with minimum 60% marks from a recognized university / institution with 2 year experience in software development or 2 year experience in network administration and knowledge in Network technologies and ability to set – up and trouble shoot.Eligible applicants applying for the position of Specialist Officer (credit officer scale – I) should have graduate in any discipline with 60% marks from any university or other education or possess an equivalent qualification recognized by the ministry of HRD, government of India or approved by AICTE with 3 year experience in officer cadre in credit processing related assignment. Details of Fee particulars: All the interested and eligible candidates are need to pay application fee rs 500/- for general / officer and Rs 250/- for SC / ST through online by using cards. Official website: All the interested and eligible candidates can apply online through official website www.federalbank.co.in from 12th July 2016 to 22nd July 2016. Important Dates: All the interested and eligible candidates can apply online before 22nd July 2016.